To repair retaining walls, we at DBS typically recommend either wall anchors or helical tiebacks to restore structural integrity. At DBS, our wall anchor systems are designed with galvanized steel to help protect from rust and corrosion. We Repair Retaining Walls In MN and WI! At DBS, we provide warrantied solutions for retaining wall repair throughout Minnesota and Wisconsin. For homeowners interested in learning more about their unique problem, we offer free, written retaining wall repair quotes at no obligation. To schedule an appointment with one of our specialists, call or e-mail us today! 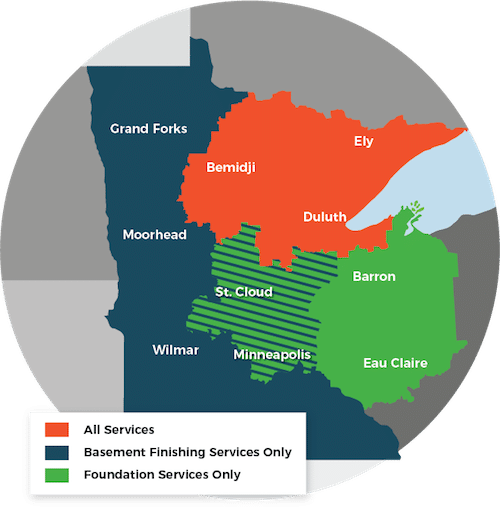 We proudly serve Minneapolis, Superior, Duluth areas such as Hermantown, Two Harbors, Cloquet, Esko, Virginia, Ashland, St. Paul, and nearby.